The first of the mobile casinos were all designed for the iOS platform as the iPhone was the one globally available smartphone at the time. Soon another player entered the market in the form of the Android platform. This was a platform that soon caught up with the iOS platform in a big way. Therefore it was only natural for mobile casino software providers to adapt their offerings to the Android platform. 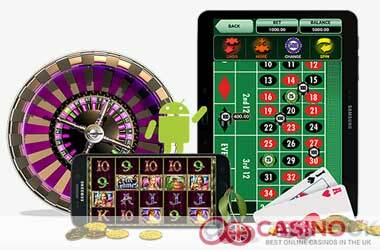 Today there are a large number of Android casinos catering to the UK market. With so many Android casinos catering to UK players, finding the right one can be difficult without help. That is where we step in: we are the leading providers of information on all matters casino-related, be it land-based, online or mobile casinos. Our experts have tested and analyzed the different UK Android casinos and put together a list of the best for you. Each of these casinos have been thoroughly tested for multiple parameters and passed all of them successfully. We also provide reviews of these casinos to make the task of zeroing in on the right one easy for you. The Android platform is the biggest around today in terms of the sheer number of devices on it; a large number of non-iOS devices are on it. The older devices were slower, though they did support mobile casino gaming. The newer devices are all fast and have great features. It is these features that have contributed so hugely to the popularity that the UK Android casinos enjoy today. Advanced touchscreen technology: The swipe and tap technology has been advanced enough to ensure smooth and simple game play. Enhanced graphic capabilities: Higher resolution graphics and animations make for more eye-catching visuals; that is something every player loves. Free play apps: Loads of these are available at the Android app store. You can play these in free play mode. Real money apps: There is a large cache of these because most existing software providers have tweaked their current games for the mobile casino market. You play these for real money. Instant play HTML5 apps: Most of the Android casinos are available in instant play mode. These are developed using HTML5 technology. Another type you get nowadays are the play-money apps; there are loads of these on the Android app store, Google Play. You get points based on your game play; the maximum point winners get prizes. In some of these, you may still end up paying real money to buy the play-money currency the casino offers. To play at a UK Android casino, you must have an account. You can either open a new account from your mobile device or use the existing online casino account. Then all you have to do is follow these steps. Type the URL of the casino directly Log in to the casino from your Android smartphone or tablet. On the resulting screen, type in your mobile number. You get a text on your mobile. Some casinos require you to scan the QR code to get the link. Tap the link to open the mobile casino on your device’s browser. Enter your user credentials and deposit money into your account (if it is not already there). Tap on the game of your choice to start playing. Use the bonuses on offer to spice up your game. Some mobile casinos are available as downloadable apps on the Android app store. Tap the app on the Android app store to download it to your Android device. Open a new account or access your existing online casino account. Ensure there are funds in your mobile casino account. Use the welcome bonus to make things more interesting. 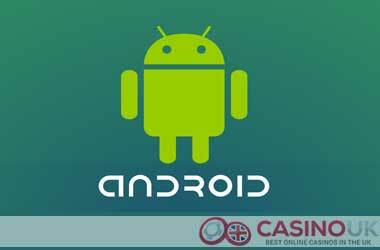 A large number of Android devices can be used to access UK Android casinos. The devices that give you the best experience include a significant range from Samsung, including the Galaxy tabs, Galaxy Note 5, Galaxy S6 Edge, and many more. Microgaming: One of the top software providers since the beginning, Microgaming offers over 300 mobile casino games directly and through collaborations with Spin3 and Quickfire. Playtech: Playtech has a fabulous array of mobile casino games, including progressive jackpots and also the massively popular Marvel slots.